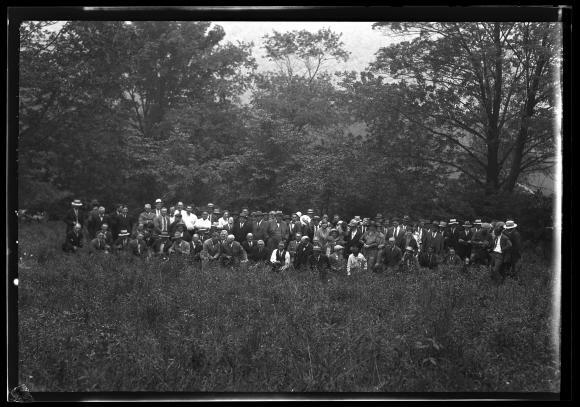 Members of a forestry tour of Western New York pose for a photograph in this clearing at Hemlock Lake. This image was created to document the reforestation tours, begun in 1924 by the New York State Conservation Department. Source: New York State Archives, New York (State). Conservation Dept. Photographic prints and negatives, [ca. 1904-1949], 14297-87_3540.